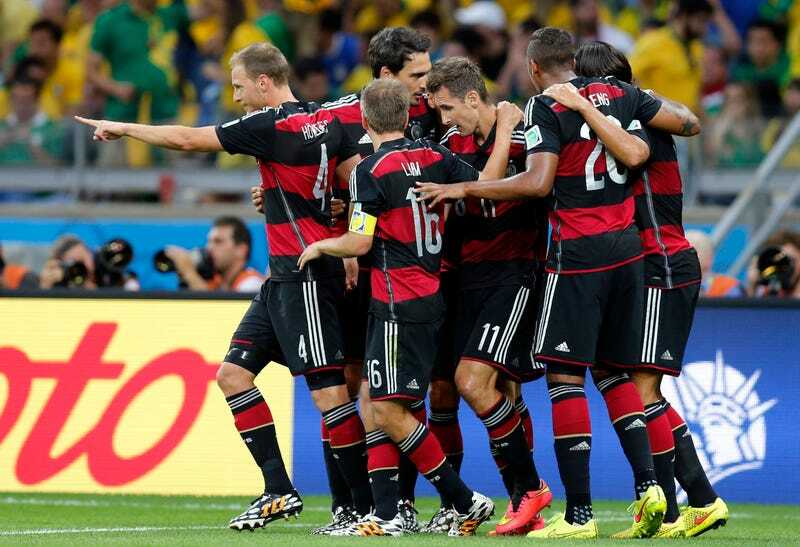 Germany routed Brazil, 7-1 in today's World Cup semifinal. Many were sad. Others saw the opportunity for Holocaust jokes. We saw something similar with the Nazi references on Twitter during the Germany-U.S. match. But today's round of jokes went a little further.